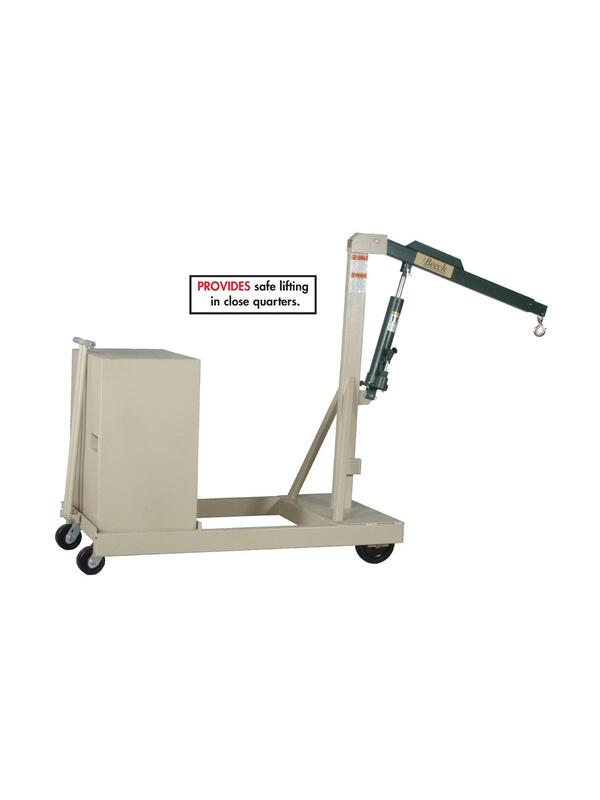 Beech Counterweighted Crane | Shelving, Inc. Provides safe lifting in close quarters. Perfect in machine shops, injection mold shops and other areas where legs out front get in the way. Each crane is proof loaded at 150% of its rated capacity to insure integrity and is equipped with a safety valve to prevent dangerous overloading. 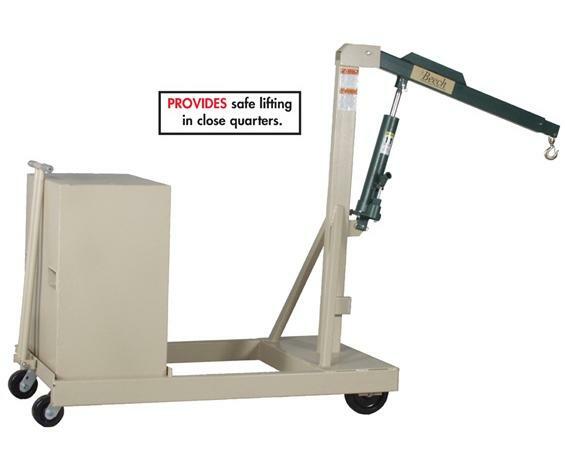 Hydraulic lift is controlled by a hand pump and precision lowering is regulated by a needle valve. All cranes are shipped complete with extension boom, safety swivel hook, counterweights, steering handle and roller bearing phenolic wheels. Exceeds ASME PALD-12 and ANSI Z535 standards. Optional wheels, floor lock and power lift option featuring deep cycle battery -- fully automatic charger plus a remote pendant on 20' coil cord available -- contact for details. FOB Shipping Point. 50 x 31 x 58"50 31 58"